The government of Dominica announced that a State of Emergency and a curfew will be in force for the passage of Tropical Storm Beryl from Sunday. In a statement on Saturday night, Dominican Prime Minister Roosevelt Skerrit said even though the storm has been downgraded from a hurricane to a tropical storm, citizens must not get complacent. "The Met Office has revealed in its latest update that the hurricane watch for Dominica has been discontinued. 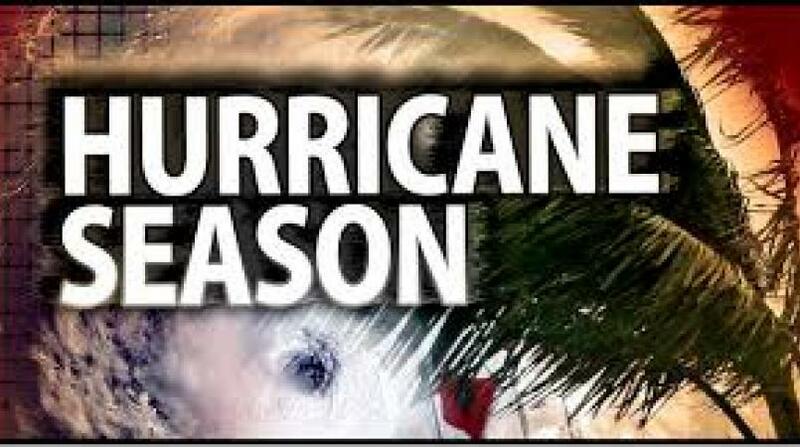 "We are however still under a tropical storm warning and we need to take it seriously. Do not get complacent because there has been a downgrade. We have to remind ourselves of the devastation caused by Tropical Storm Erika in 2015. "Cabinet has taken the decision to declare a state of emergency tomorrow (Sunday) and a curfew will be enforced. I will provide more information shortly about the curfew in another update," he said. Skerrit also visited some of the most vulnerable areas on the island, pledging to issue whatever help possible in the event of any damages. "With Dominica currently under a tropical storm warning, I journeyed East to visit the designated shelters in some of the country’s most vulnerable communities. "Together with some members of cabinet, I met with the various shelter managers and volunteers to assess their level of preparedness in the event that the storm affects us tomorrow. "I assured them that between now and then, I’ll be doing all that I can to ensure that each of the shelters has every resource it needs to overcome any foreseeable challenge," he said. 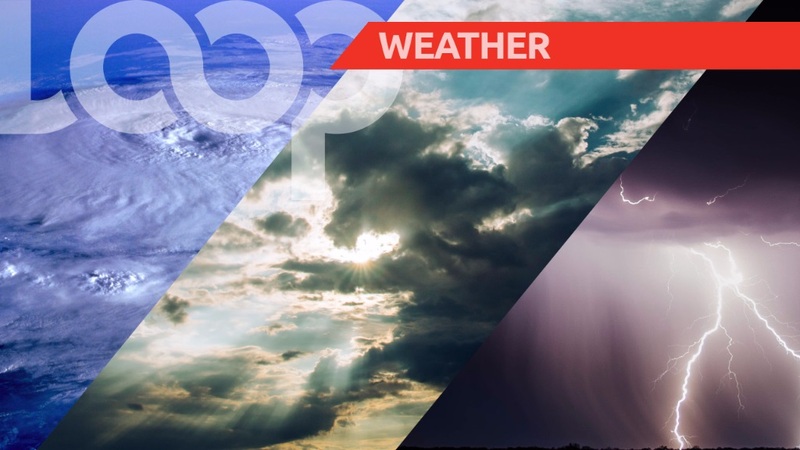 According to the US National Hurricane Center, at 8:00 am Sunday Tropical Storm Beryl was located approximately 190 miler east-north-east of Barbados, carrying maximum sustained winds of 45 miles per hour. Beryl is moving toward the west-northwest near 20 mph (31 km/h), and this motion with an increase in forward speed is expected during the next couple of days. 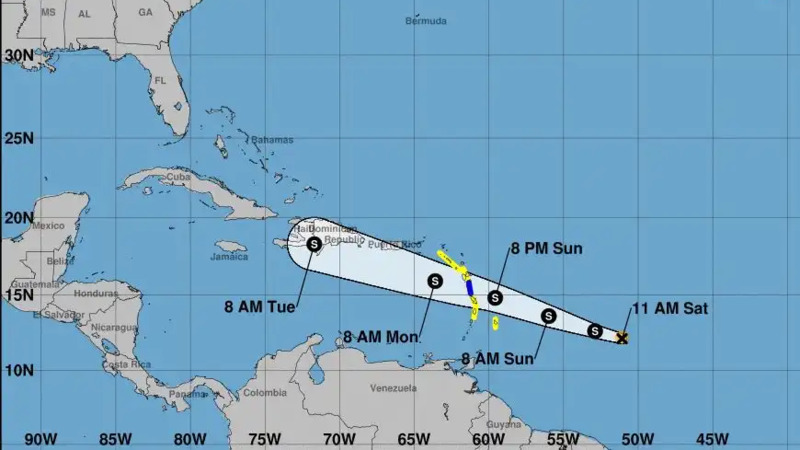 On the forecast track, the center of Beryl or its remnants will approach the Lesser Antilles on Sunday, cross the island chain on Sunday night, and move near or south of the Virgin Islands and Puerto Rico on Monday. Maximum sustained winds are near 45 mph (75 km/h) with higher gusts. Gradual weakening is anticipated during the next 48 hours, and Beryl is forecast to degenerate into a trough of low pressure as it moves across the Lesser Antilles and into the eastern Caribbean Sea by Monday.